Excited for Chinese New Year? Any suggestion on where to get a nice red dress? This phone is a absolute must have for those who love selfies! Fully equipped with a 5MP front camera and a 13MP back camera. I tried the camera and I am totally in love with it. The pictures that it capture is so beautiful! No need to go through anymore editing apps. Just snap and it is ready to be uploaded! who is addicted to Instagram this phone is Perfect! I was fortunate to have the first feel of it at their launch. The launch event was held at Signature The Roof at Bandar Utama. It is a very classy venue for any function. using dustbin covers and industrial bins as their instruments. Here, she is demonstrating one of it's feature. 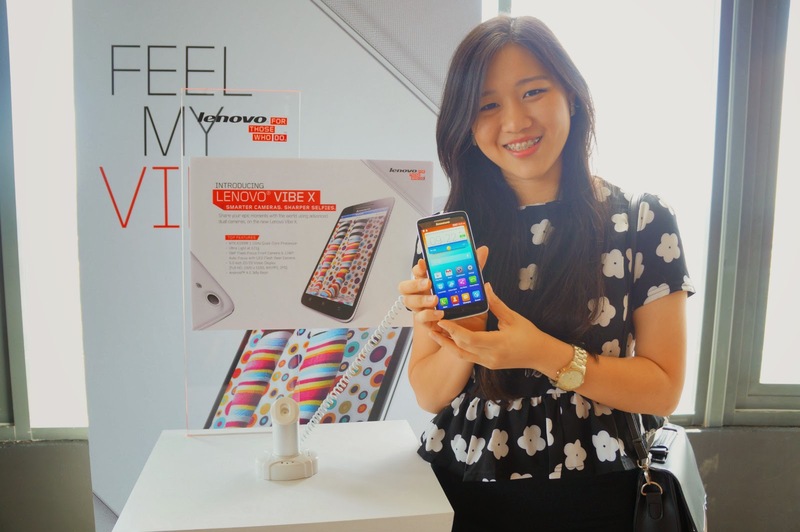 And, of course, some selfies..
Lenovo Vibe X new model? You must be wondering how much this awesome baby cost right? Reward yourself with a new Lenovo Vibe X today! Have an awesome month ahead!